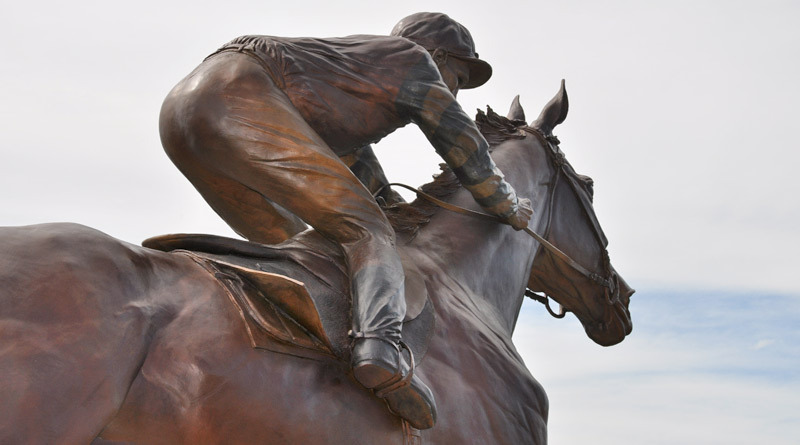 A statue of famed New Zealand galloper Phar Lap was unveiled at Timaru racecourse in 2009. The future of the track is in jeopardy following the release of the Messara Report. Major changes to the New Zealand thoroughbred racing industry could lead to the eventual closure of 11 racetracks in the South Island and nine in the North Island. A review of the state of the country’s racing industry was carried out by Australian breeder and owner and Racing New South Wales chairman John Messara. Messara’s report, the ‘Review of the New Zealand Racing Industry’, was released at a public meeting in Hamilton on last night by Racing Minister Winston Peters. The Government commissioned Messara to conduct an independent assessment of the state of the domestic racing industry and to make recommendations for change. “Mr Messara’s review delivers a blunt appraisal. He concludes the New Zealand’s racing industry is in a state of serious malaise, and requires urgent reform. The review also warns thoroughbred horse racing is at a tipping point of irreparable damage,” Peters said. The findings of the Messara Report have been welcomed by New Zealand Thoroughbred Racing, with chairman Dr Alan Jackson saying it “will create a blueprint for a thriving thoroughbred industry”. “It’s time for change. While our Board has yet to consider the report in detail, the major recommendations are in line with NZTR’s views and it is reassuring to have those policies verified by an independent and expert voice. “We are confident that racing has a bright future in New Zealand but real change and brave leadership will be required if we are to achieve the report’s target of doubling prize money,” Jackson said. The report proposes years of closure for tracks it said had poor or average infrastructure, but specifically recommends that no clubs should close but should race at a nearby venue or merge with another club. Some 52 meetings would be affected. “We believe that the target should be to close the initial 20 venues over 5 years commencing 2019/20, so over a period of 6 years from now,” Jackson said. The result, if the report’s recommendations are followed, would leave 27 venues used for thoroughbred racing by the 2026-27 season. There were nine courses recommended for closure that may be retained by the harness racing industry. Well this wipes out racing on the West Coast of the South Island ..just wrong.Motukarara was were Sunday Harness racing began.The picnic racing culture is being snuffed out.